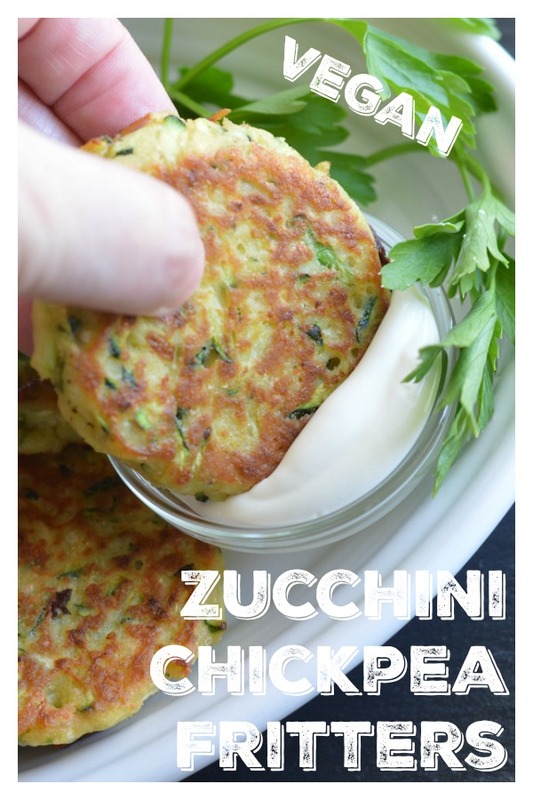 This recipe has been updated completely since it was first published on July 23, 2013…the first year I started blogging! 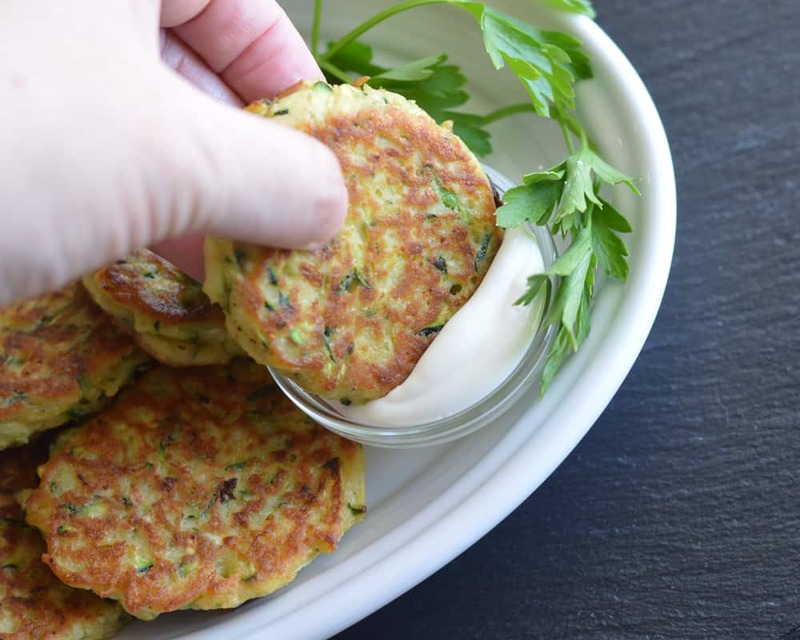 My, how time flies and it was beyond time to give this recipe for Zucchini Chickpea Fritters a much needed makeover. The recipe could not be easier to throw together, so let’s jump right in! 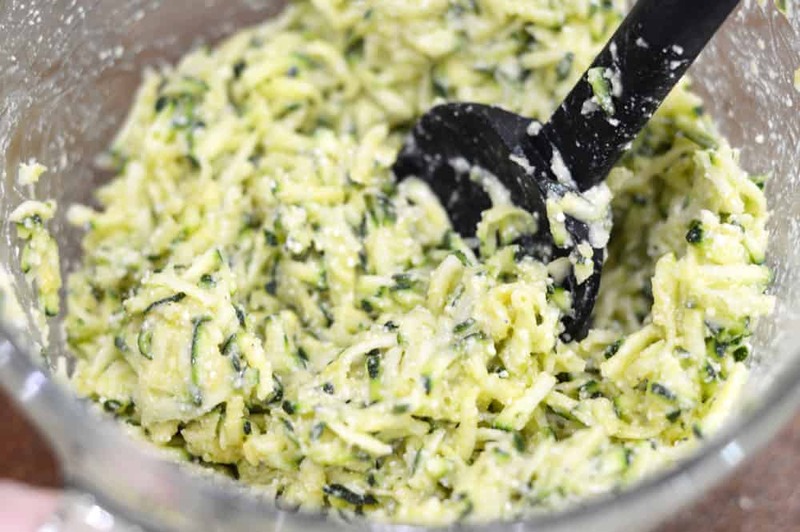 If you have a food processor, this process is completed in literally seconds! Add the chickpea flour, vegan parmesan cheese alternative, salt and pepper. I used flax “eggs” which is nothing more than 2 tablespoons of ground flax seeds with 6 tablespoons of water that is allowed to sit for about 15-20 minutes, or until gelatinous. This will act as our binder. 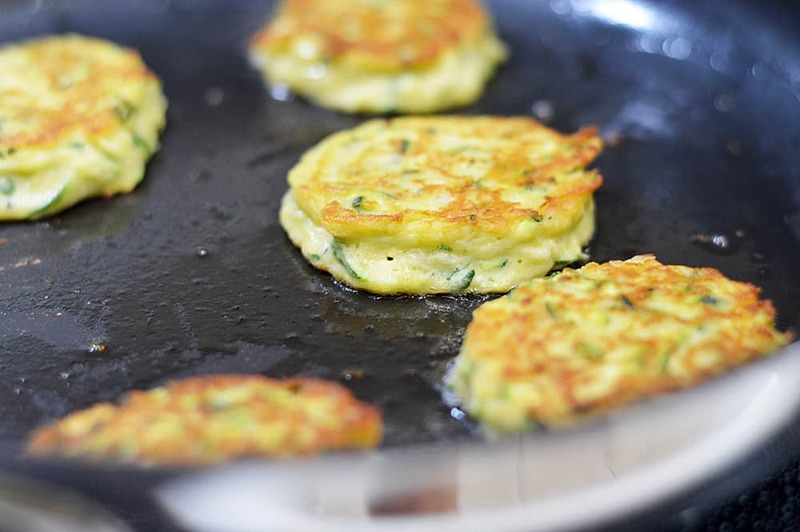 Allow your batter to sit for a few minutes. If it seems too wet, add more chickpea flour. I ended up doing this and it makes for a much more stable end product. They also rose better with more flour. My first batches were just too wet. 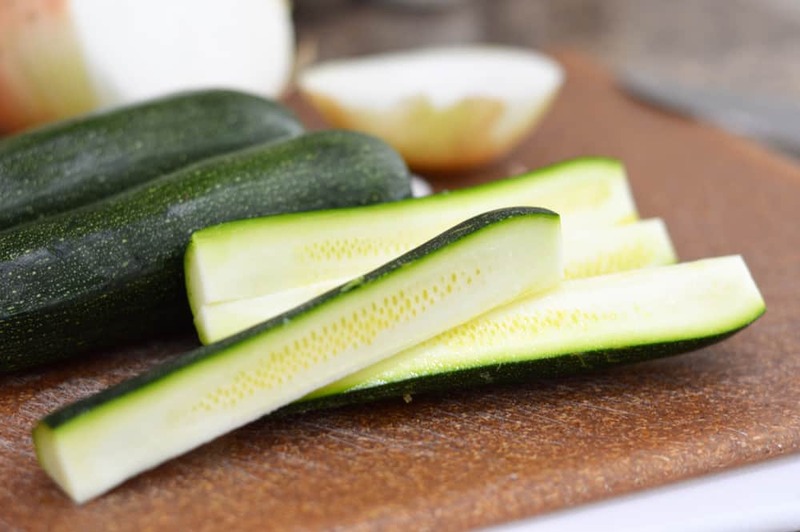 Remember, zucchini are about 90-95% water and we aren’t draining or squeezing the excess out. You could opt to do this if you’d like. Adjust the flour accordingly. I allow to brown on one side before flipping. This gives them the opportunity to set enough that when you flip them, they hold together. Again, that flour proportion really comes into play here. By the way, have I ever told you that I rarely ever place anything in the center of the frying pan? It will cook MUCH faster than the perimeter, so I just omit that placement completely. 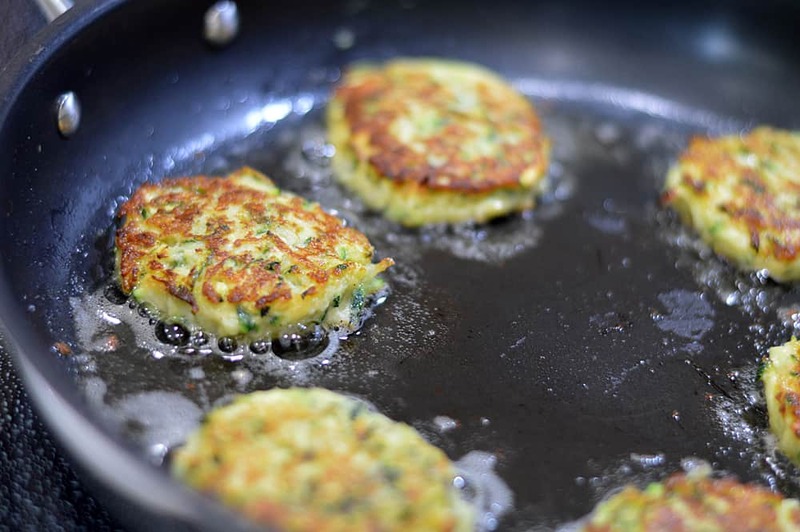 You should get 18 fritters from this recipe. I recommend cooking 6 at a time. Once pan fried, I like to place them on paper towels to absorb any excess oil. I allow them to sit for about 5 minutes where they will continue to set up. 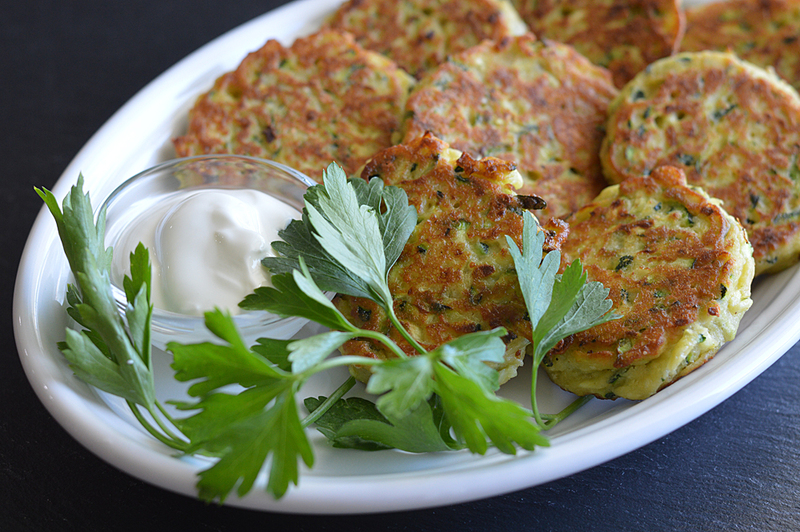 Served simply with vegan sour cream, these are really delicious! 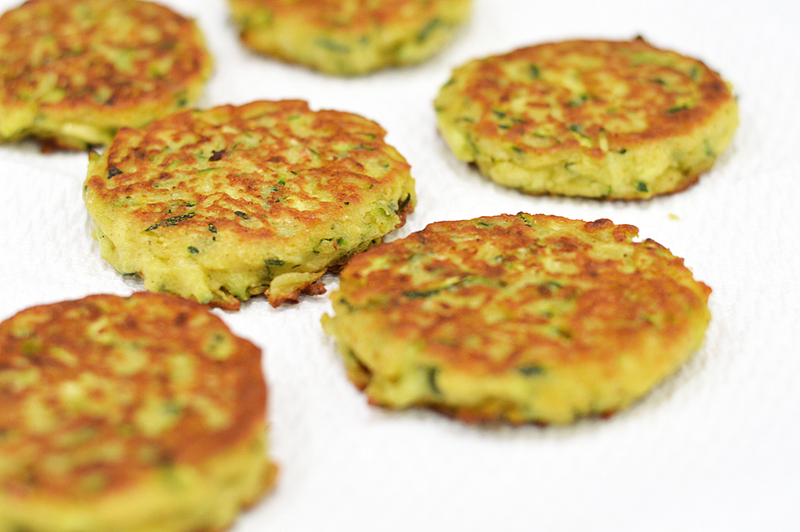 Did you make this recipe for Zucchini Chickpea Fritters? Leave me a comment below and let me know what you thought. You can also snap a pic and tag me on Instagram @theveglife1. I love seeing what you guys come up with. 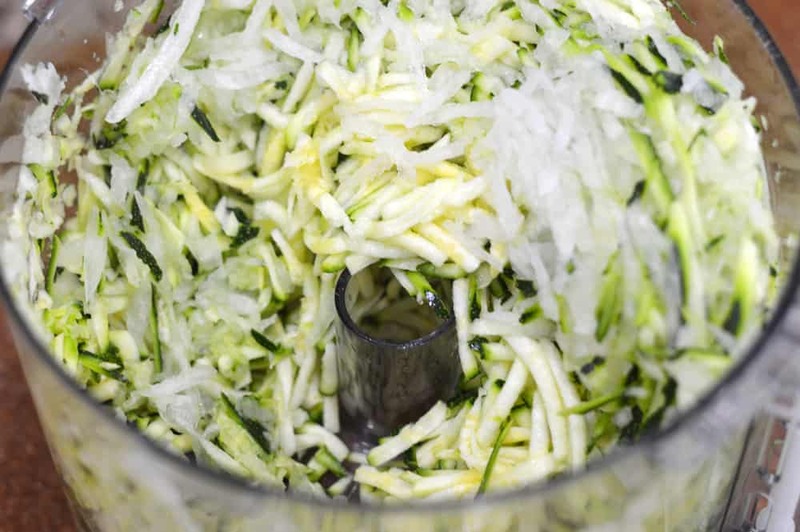 Grated the zucchini and onion in a food processor, or using a hand grater. Combine all ingredients in a large bowl. Allow to sit for a few minutes. 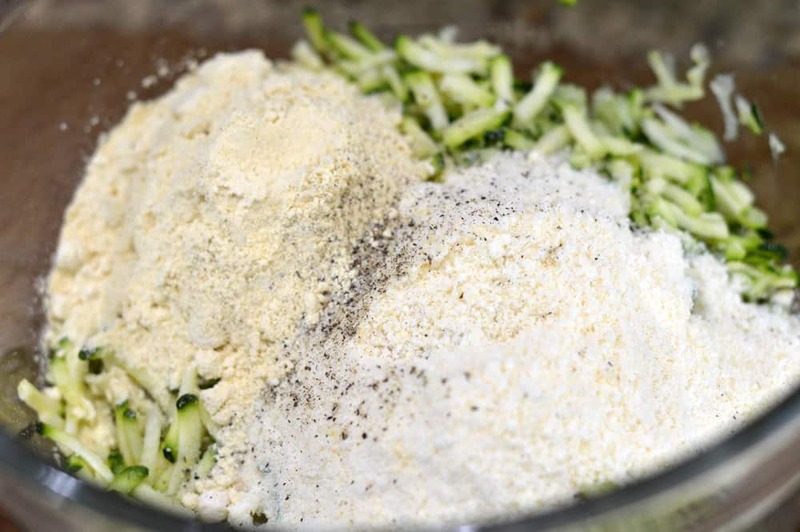 If the mixture is too wet, add more chickpea flour. Using a cookie scoop, add to a preheated pan over medium high heat and a tablespoon of oil. Flip when almost set and golden brown on the first side. Repeat until all of the batter is used, adding more oil to the pan as required. Garnish with vegan sour cream and chives. Dang. When I signed up for your newsletter, I was hoping for real food recipes. I had to look up “vegan parmesean cheese” and nope, not something I plan on putting into my body. Made these last night and they are amazing! Even with the Parmesan 😉 I didn’t have the sour cream so I just used some Vegenaise with Sriracha. This recipe is a keeper. 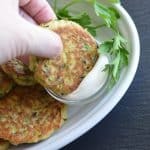 I’m doing fat-free and was wondering if these can be baked instead of fried?